KLM is trialling a new service that offers passengers a nopportunity to experience Amsterdam while socialising with a local. The “Layover with a Local” service lets passengers waiting for their connecting flights at Amsterdam Airport Schiphol meet up with Amsterdam locals who enjoy meeting new people. The service is intended for passengers with a layover of six hours or more at Schiphol. Based on flight information, selected passengers can sign up for the “Layover with a Local” app, which turns a transfer at Schiphol into a city trip to Amsterdam. Passengers are matched with an Amsterdam local based on languages and social interests. Amsterdamers sign up to join the service at KLM’s website. After touching down at Schiphol, the app provides passengers with clear instructions as well as a free train ticket from the Dutch Railways to Amsterdam’s city centre, where they hook up with the local. 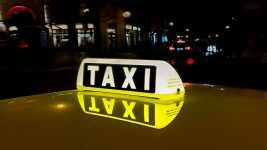 After the get-together, the app helps passengers get back to the airport on time. 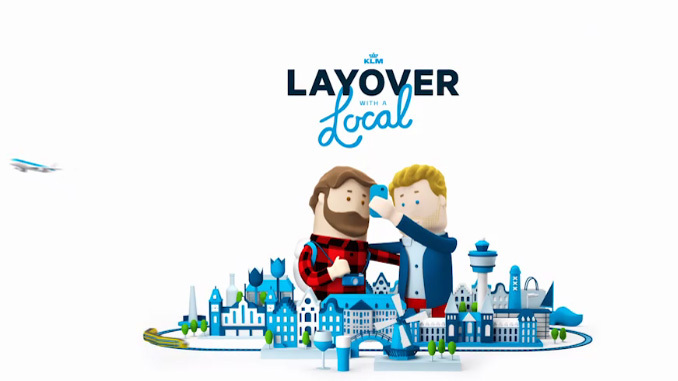 Layover with a Local is a pilot service for KLM passengers departing from the USA, Canada and Italy between March 22 and May 31, 2016. This initiative fits KLM’s positioning as a social airline. 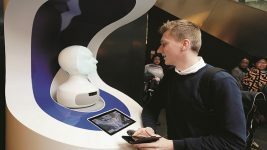 Around 70% of KLM’s passengers catch connecting flights at Schiphol, which is why we created this service that turns layover time at the airport into a unique and social experience in Amsterdam with a new friend. Travellers who catch a brief glimpse of Amsterdam this way may decide to come back in future to get the full Amsterdam experience. The KLM service is similar to that introduced earlier this month by Icelandair Stopover Buddy Service. The big difference is that with the Icelandair Buddy is an employee of the airline. With KLM it is a member of the public.